Crispy spring rolls, stuffed with vegetables, served with white turnip sauce. Steamed vermicelli, fresh cooked shrimp, lettuce, mint and sweet basil, wrapped in fresh spring roll skins, served with Vietnamese peanut sauce. Steamed homemade dumplings, stuffed with chopped chicken and vegetables. The most famous Thai noodle dish, fried with shrimp, spiced tofu, ground peanuts, eggs, bean sprouts and Thai spices. Fried rice with assorted fresh green vegetables. I ordered my meal ASAP, and it arrived within thirty minutes, which was faster than the system had anticipated. Like last time, I was very satisfied with the food as well. Thank you so much! We made a big order (for 9 people) and the food arrived hot and on time. Everything was delicious. Will definitely order again! Amarin has been excellent for years and continues to be. The best Pad Thai and dumplings around! The roast duck and sauce is so yummy and filling. The portion of duck size is worth the cost. 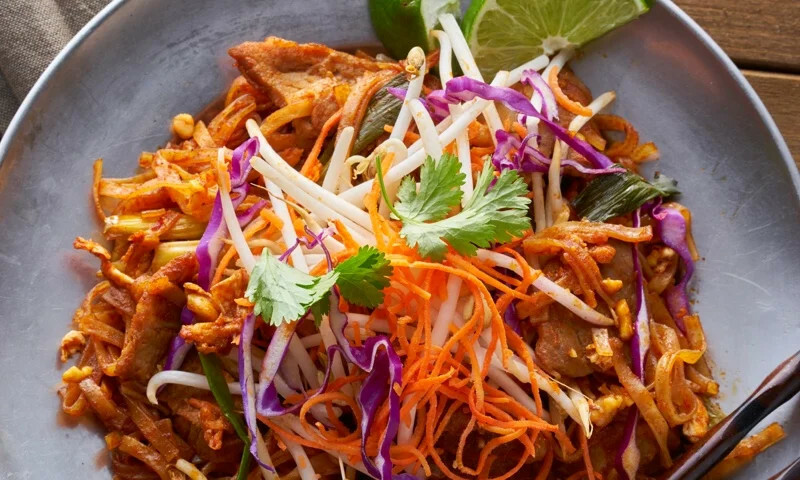 Whether you're craving a quick bite or looking to treat yourself to a delicious meal, you can now order your Amarin of Thailand favorites for takeout or delivery.